Lakeshore Living. News on lake ecology, lake pollution, land use, natural resource management, community, and lakeshore living. Acid rain was rare among environmental problems in that it had a viable solution, and these days it’s often hailed as an environmental success story. The market worked as intended, sulfur and nitrogen emissions declined and rain became less acidic. And just two weeks ago, the U.S. Supreme Court issued a decision upholding the federal government’s authority to regulate power plants in this manner. Decrease the burden on lakes affected by past emissions, lower pollution in the present would. Lakeshore Living. 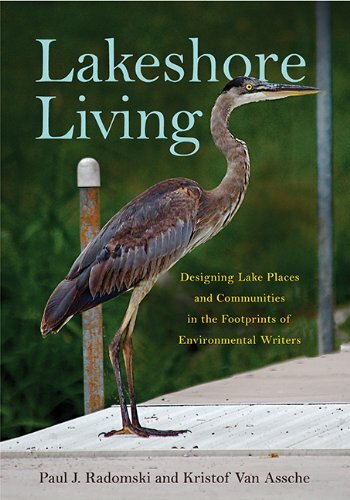 This blog builds upon the book, which provides insight into relevant aspects of environmentally-sensitive lakeshore place design and lakeshore living. The blog also serves as an outlet for my creative thinking and writing. This blog may provide some meaning for people interested in improving lakeshore living in a more sustainable and just manner and creating enduring lakeshore communities.